Walk through what was once the underbelly of the City of Churches. Full of dubious characters, 'lurk merchants' and others just down on their luck. View more information about this image here. No known copyright restrictions – conditions of use. Adelaide, City of Light and City of Churches, is known for its quiet country atmosphere and beautiful parks. But there is also a history of darkness in the City of Light. 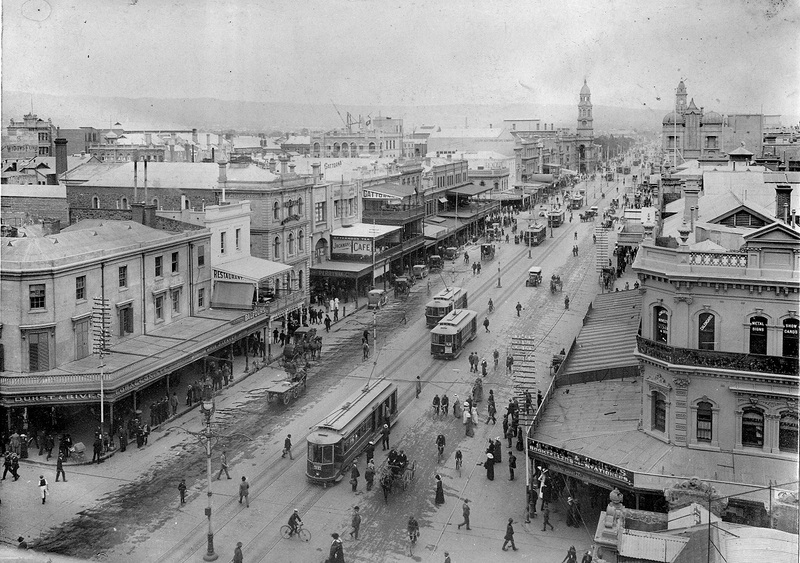 Nineteenth and early twentieth century Adelaide newspapers were filled with reports of crime, vice, violence and scandal. This walking tour focuses on dark and notorious deeds in the city’s inner West End from the 1830s to the 1950s. The slums and factories long gone, the area now boasts clean pleasant streets of businesses, restaurants, apartments and restored cottages. For many decades however it was home to the poor, the discontented and the desperate. In a world without welfare support many turned to crime to survive. Working class and unemployed lived in crowded slum conditions close to abattoirs, factories and breweries. The area was notorious for its many low-grade pubs, illegal gambling houses, opium dens and abortionists. 'Lurk merchants', bludgers and larrikins worked the streets and pubs, looking for the next mark, or their next meal. Pimps, prostitutes, thugs, thieves and con artists plied their trade, side by side with struggling workers' families. Because many were barely literate, few records of their lives and thoughts exist. Apart from newspaper reports, council and police records, very few traces remain. But revisiting their old haunts reminds us of those who lived life hard in the spaces we now walk so lightly. For more information we recommend visiting the State Library to search the catalogue and other resources or visit some of the Library's websites. 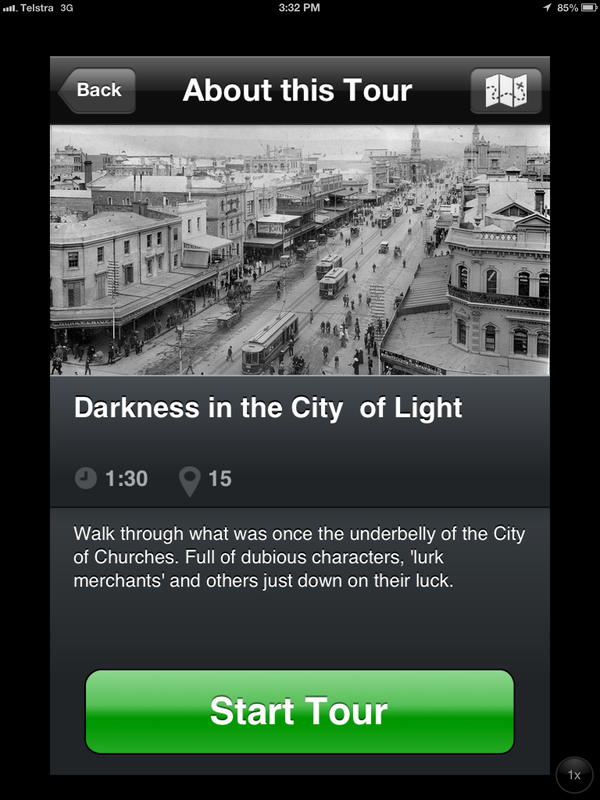 You can download the Walking Tours app to your Apple or Android device using the links below. A web version is available for users of other devices.